SERT (Space Electric Rocket Test) was an early NASA suborbital and orbital tests of the performance of electron-bombardment ion engines. SERT 1 flew on a 30-minute suborbital mission, launched by a Scout X-4 from Wallops Island, on July 20, 1964. 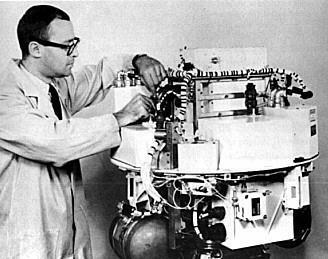 SERT 2, which also studied how prolonged operation of such engines affect other spacecraft systems, entered a 1,040-kilometer-high orbit on February 4, 1970, having been launched by an LT Thor-Agena D from Vandenberg AFB. The two engines on SERT 2 ran, on and off, for about a decade.